In this video, World Champion FISM Gold Medal Winning Close-Up Magician, Daryl, takes you step by step through the many uses of this versatile trick deck of cards. Learn incredible routines, tips, and handlings of the classic Invisible Deck by Eddie Fields, Steve Bedwell, Neil Elias, Don Alan, and more. Daryl is renowned as one of the world's finest magic teachers. Here, he shares his years of knowledge and expertise so you, too, can be the life of the party, amazing your friends, family and colleagues. 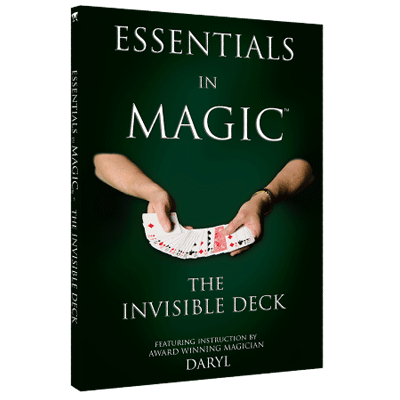 If you have ever wanted to do incredible and entertaining card magic, grab your Invisible Deck and let Daryl guide you down the essential road to miracles.